The thing that I love most about writing is that there’s always more to learn whether you’re just starting out or have been writing for years. I’ve spent four of the twenty years that I’ve been writing at university. Since graduating, I continue to go to writing classes to learn to be a better writer. If you’ve read my downsides to studying Creative Writing post, you may think I’m against studying Creative Writing. I’m not. But I have seen a lot of people drop of out Creative Writing classes, courses, and degrees because it isn’t what they expect it to be. That’s why posts like this and the aforementioned downsides one exist. I want you to know exactly what you’re letting yourself in for before you commit to anything. Growing up, I didn’t know anyone who was interested in writing, reading or poetry like I was. I knew people that enjoyed it, but most of them were too scared by how ‘uncool’ said hobbies were to admit it outside of our friendship circle. I was the only one who was happy and comfortable in the fact that I like writing, reading, and poetry. When I reached university, that all changed. I was surrounded by fellow writers. It overwhelmed me, at first. It was refreshing, though, and very eye-opening: meeting other writers has taught me new techniques and approaches, as well as allowing me to appreciate areas I don’t write myself, such as children’s fiction. University is eye-opening regardless of what you study, and is a learning curve for everyone. Even if you don’t study Creative Writing at university, doing shorter courses can still be beneficial, as can going on writing retreats. If you did study it at university, don’t think that you know everything—it doesn’t matter how long you’ve been writing, there’s always more to learn. Different Creative Writing courses will have different levels of involvement in the literary world. If you would like to be a part of it (and why wouldn’t you?) I would advise doing your research before you start. Connections are important in every industry: just one person can make a huge difference to your career. Networking is as important as knowledge nowadays, so listen to your teachers and heed their advice. Try to stay in contact with as many people as you can after you’ve finished because you don’t know who’ll be a useful contact one day (or who you’ll be useful to!). Experience is important in everything that we do, and writing is no different. You’ll get different levels of experience depending on the course, ranging from writing experience to editorial experience to putting together an anthology. All of them will teach you different things about writing and about yourself. Putting together Restless Minds as part of our MA was a huge learning curve for us, and (as far as I’m aware) we all enjoyed it. You get to increase your experience in writing, as well as editing, marketing, teamwork, problem solving, leadership and more. One of the main benefits of studying Creative Writing is that, despite its name, it doesn’t just help with your writing skills. Workshopping is a fun way to bond with other writers, and it teaches you how to be tactful when giving feedback. This is a useful skill in all lines of work, and can be particularly useful if you go on to an editorial or leadership roll. In life, you have to learn to differentiate between personal and professional criticism, and a Creative Writing course helps you to do this. Giving and receiving feedback is a regular part of the course, and something you must learn to handle if you’re going to progress and improve. You won’t grow or achieve the grades that you could if you dismiss the comments that you receive from your teachers or your peers. 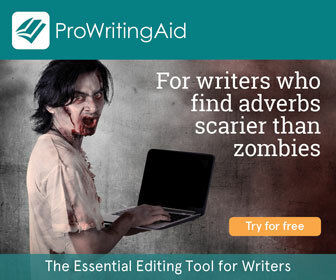 There are just as many benefits to studying Creative Writing as there are downsides. Ultimately, it’s up to you about how you feel about writing. Studying something we love can take our love away from it, but it can also deepen our love for it. However, if we want to improve, it’s the best and the fastest way to do so. Have you studied Creative Writing? How did you find it? I’d love to hear your stories in the comments!